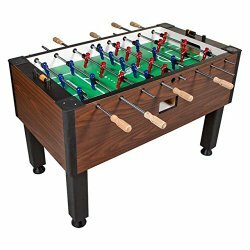 Dynamo Foosball Table - Reviews Of Best Models Here! 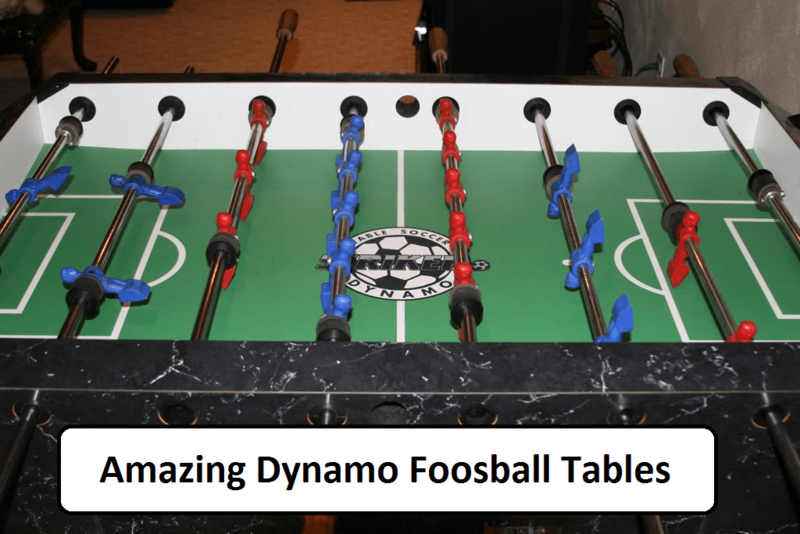 If you don’t have an idea which Dynamo foosball table to choose, don’t worry, because today we are going to help you and will show you which are some of the best Dynamo foosball tables, but let’s first take a look at the history of this brand. Dynamo Foosball Tables is owned and built by Valley-Dynamo Limited Partnership, thus creating the Valley-Dynamo Foosball table Brand. This Company has been in existence since the early 1970s and was started by a former professional foosball player Mr. John Lewis. His love for the game propelled him into creating a professional, high-end foosball table that could absorb the heavy plays of competitive foosball. This Companies home base is in Texas, and we all know the quality game tables from that State. All these tables are high-end products and are considered the best on the market. 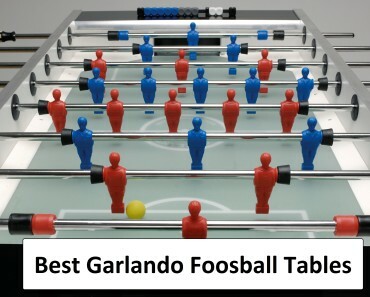 If you want to know more about foosball tables than visit our best foosball table guide for more information. The Dynamo Big D Foosball table is on sale. 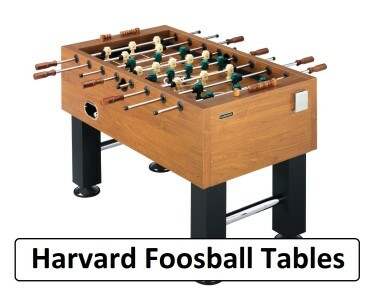 This high-end table is the best in the Dynamo Brand of foosball tables and is of the highest quality. It is made with parts essential for heavy duty play. 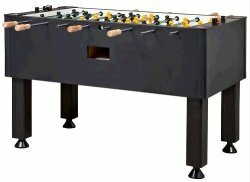 Professionally this foosball table as compared by professional players to be a great foosball table for playing tournament with family and friends. The stability is considered to be excellent in comparison to the Tornado Foosball Tables. 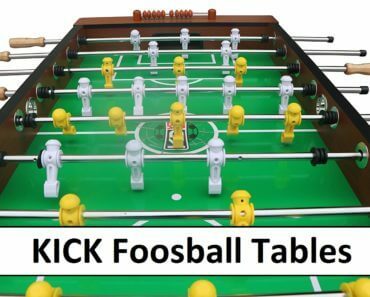 Beginners who need to get a feel of playing on a tournament table, the Dynamo Big D Foosball Table is for them. 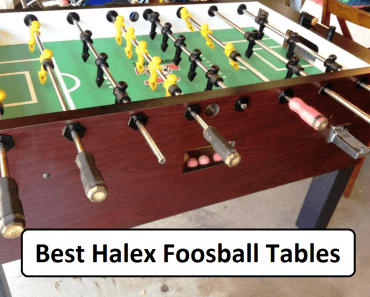 A good foosball table for playing with friends and family; though not a championship quality table, any person who buys this table will not be disappointed. Both these tables are manufactured by Valley-Dynamo and they are excellent Foosball tables. 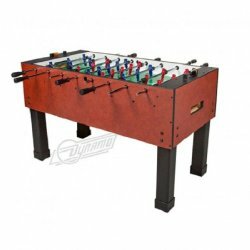 The Dynamo/Tornado Sport Foosball table sells for around 1000$ while the Dynamo/Tornado Elite Foosball Table is sold for more. The Dynamo/Tornado Sport Foosball table is certainly in a class by itself. 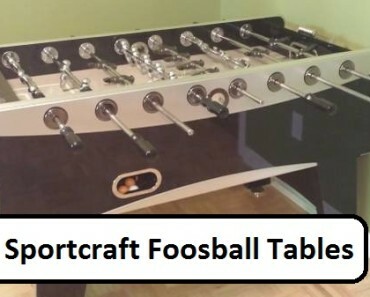 This table is recommended by professional foosball players and is also ideal for home entertainment. The table is also great for any Bar or recreational Centre. It is ideal for youngsters who want to blow off some steam while having a good time. A great gift for you or a loved one. One reviewer indicated; he bought the Dynamo/Tornado Sport Foosball table as a Christmas gift for his dad, and it soon became a gift for his family and friends. Playing for all was a, quote “bar like atmosphere” end quote. This is just one of the many testimonials that can be had from owning a Dynamo/Tornado Sport Foosball table. 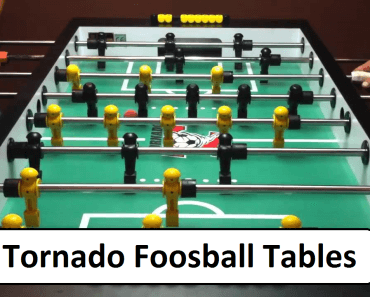 Purchasing this foosball table may be considered expensive; but if you are looking for quality this Dynamo/Tornado Elite Foosball table is what you are looking for. This is an investment in fun. The quality has surpassed the other manufacturers’ claims and is highly recommended by persons who are seasoned foosball players. Great for family and friends, and the table is fantastically made. Installation is difficult, but the fun is also in the assembly as well as playing the game. Careful attention must be paid to placing the men on the rods, as one reviewer stated; he put them on backwards and had to take them off and reset them. Which was frustrating, but he had fun playing with his boys, so that made up for his mistake. Rating for this foosball table is a high-quality rating. This foosball table is sold for quite a lot of $ and is rated among the best ever in foosball tables. The price is considered to be a steal, as the quality far exceeds the cost. Persons are surprised by the quality in comparison to the price and have high praises for this particular table. The tale is solidly built, has an exceptional quality rod and player capabilities, like the foosball tables used in Tournaments. Ratings are up there with having a 5-star rating. 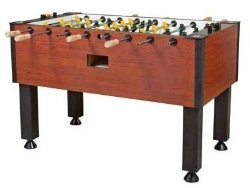 Persons who have experienced playing on the Dynamo/Tornado Classic Foosball table are surprised at how fast and sleek the play. Compared to any other Tournament foosball tables, this baby takes nothing from them, the comparison is equal. As one reviewer states, quote “This table is friggin sweet!” end quote. Now with this thrill and enthusiastic response to playing on this foosball table, is there anything more to say about it? Buying is not the issue; it’s not owning one; that is the issue! You will be losing out on some serious fun if you don’t buy. 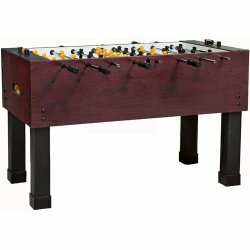 Choosing to buy any Dynamo/tornado or Dynamo Foosball Table is a solid investment. The professionals and the non-professionals have spoken and given the thumbs up for this product. Foosball Enthusiasts have also weighed in on their experiences with this table, and it is all good. Now is your time to take action and order your favorite Dynamo foosball table to enjoy in the game at the highest level.